My cast iron skillet is my favorite pan to cook in. It cooks so many things so beautifully and there is just something so nostalgic about it. A timeless classic that never goes out of style. This Pumpkin Skillet Cake with Pecan Streusel is to-die-for good y'all. This one starts with a cake mix too. Most of the cakes you see on here are usually baked from scratch but sometimes I just need a helping hand and I have no problem whipping out a cake mix. Just keeping it real here folks. 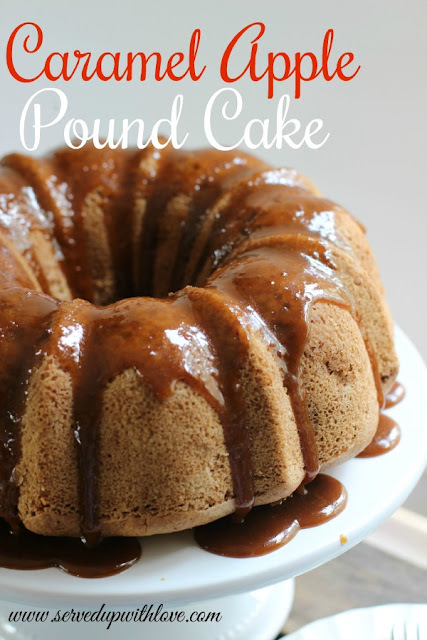 Spice cake mix and a can of pumpkin puree are the main ingredients in this cake. 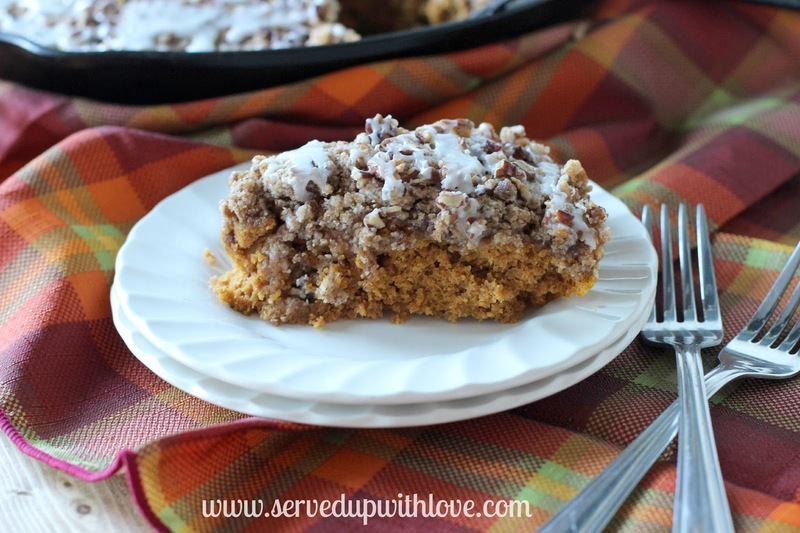 The cake is very moist and the streusel topping gives it that needed crunch that dances around on your tongue. I didn't stop there though, I added a powdered sugar glaze and oh my goodness, I am in love. While I was preparing the cake batter I placed the cast iron skillet in the oven to come up to temperature with a pat of butter to melt. Place your cast iron skillet in a 350 degree oven with a tablespoon of butter. While the pan is coming up to temperature, dump the cake mix in a large bowl. 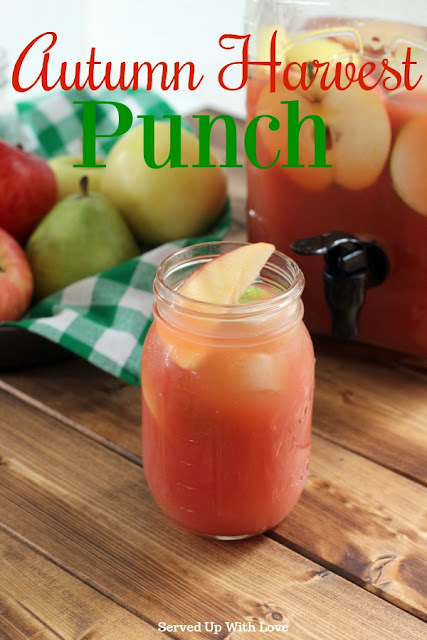 Pour in a can of pumpkin puree and the water. Stir until combined (it will look like it needs more liquid but just be patient) Combine the remaining ingredients (except the pecans) in a separate bowl until crumbly. 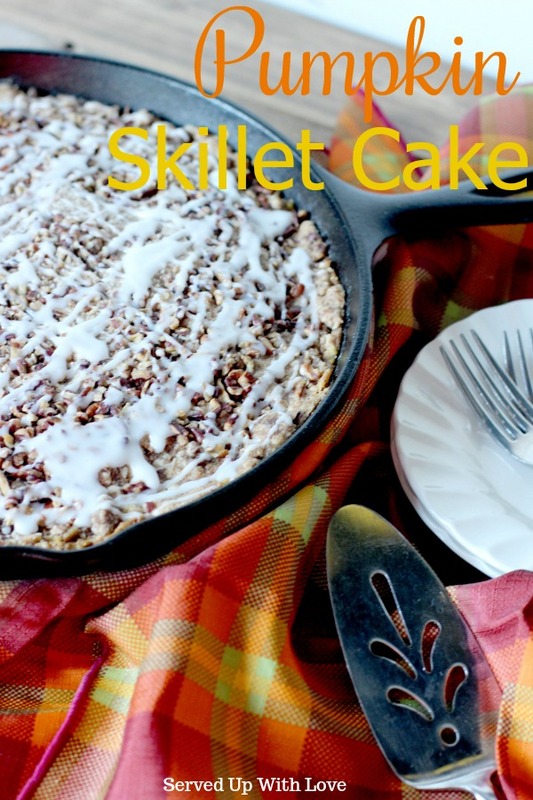 Spread the cake mix into the cast iron skillet and top with the streusel topping. 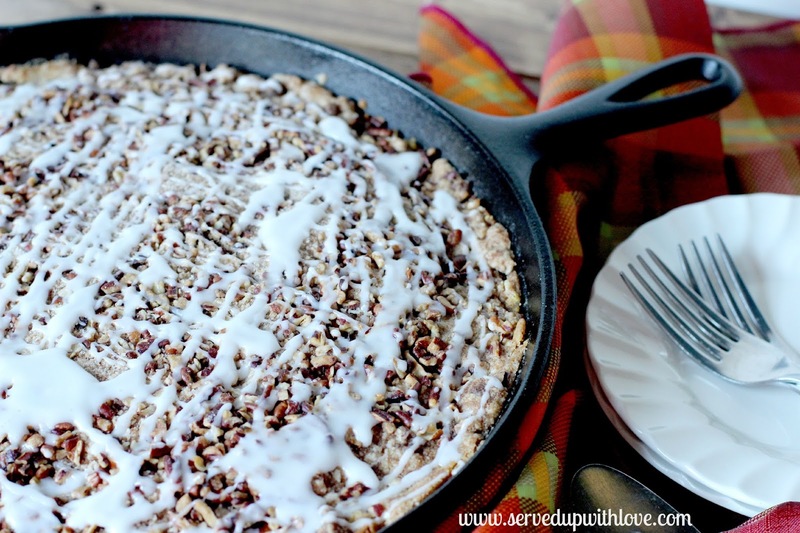 Sprinkle the pecans over the top and gently press the topping into the cake. Bake for 25-30 minutes. To make the drizzle- combine the powdered sugar and the milk in a bowl and mix until combined. It will look like it is going to be too thick but just keep stirring. Drizzle over the cake with a spoon or fork. Thanks Marsha! This one was a huge hit with the family and was the perfect accompaniment to my morning coffee. Love hanging out at Weekend Potluck! Hey there Mar- My cast iron skillet is a 10 inch I believe. Hope that helps. Love everything about this, Melissa! Beautiful and scrumptious. Fantastic post you have share here. I read your job in details and I have gotten more information on Pumpkin Skillet Cake with Pecan Stressful . I will take this inspiration and apply it to my Arizona The Daring Cooks by immediately placing Mealy your delivering the lovely like a fairy godmother.